Many companies and entrepreneurs have claimed that marketing simply doesn’t work for them. But these are usually the same business owners who lack a structured strategy and take a short-term approach to marketing. Businesses that go this route often see a lack of progress or any real long-term results. They end up frustrated and feel that their marketing efforts were a waste of money. Instead of investing in a dedicated marketing department, many businesses settle for smaller campaigns. They are often one-off efforts that entail hiring a contract telemarketer or an SEO freelancer to promote their web rankings overnight. But a successful marketing strategy takes time to build, and should be an ongoing effort. Temporary marketers will come and go, resulting in a lack of any real long-term results. Having a designated budget for a permanent marketing team is essential to achieve long-term success. Don’t isolate your marketing efforts to just your marketing team. The whole company should be a part of your marketing strategy. Providing stellar customer service, for example, has become a critical part of a successful marketing campaign. Positive reviews and feedback from customers will generate more business and build the company brand. 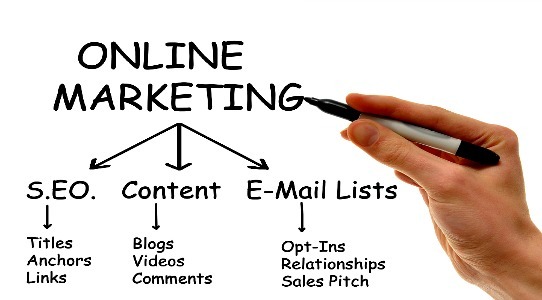 With the rise of the internet, integrated marketing has become more important than ever. Marketing is most impactful when the message remains consistent both online and offline. This means combining traditional methods, like newspapers or billboards, with online methods such as social media. Marketing campaigns are most successful when they are time-bound and measurable with KPIs or CRM tools. The data gathered from a campaign can help your marketing department understand what works and what doesn’t for when they plan the next one. Outdated marketing tools are almost as bad as no marketing tools. Invest time and money to finding the best CRM technology for your business. Send your marketing team for training on a regular basis to keep their skills up to date. This is critical in order for your marketing department to stay competitive and on par with the rapid pace of change in today’s digital world. A short-term, poorly strategized marketing effort will result in your company “winning battles but losing wars.” A business leader who truly committed to their company’s long-term success will make the proper investment their marketing department. Find marketing success for your business by growing an in-house team, or investing in an outsourced marketing department.